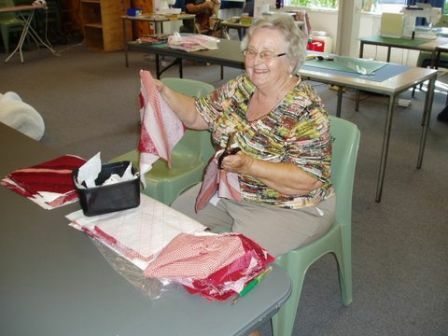 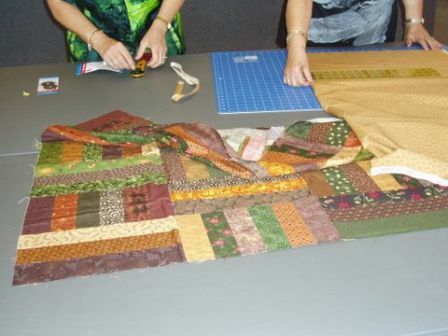 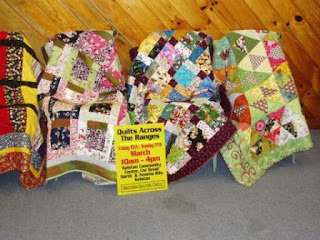 Every year Western Quilters Circle donates quilts to a charity. a workshop is held to put these blocks together. 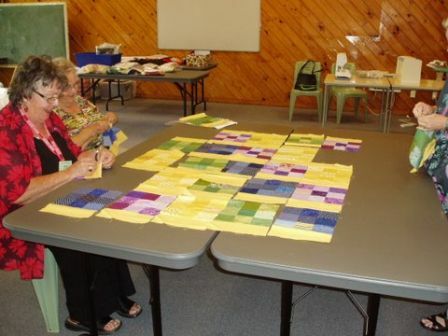 Jane, Kath, Margaret, Juliet, Dianne, Andrea, Karen, Jean and Denise. 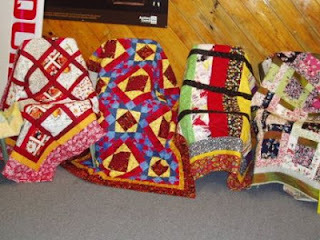 A selection of the completed quilts. 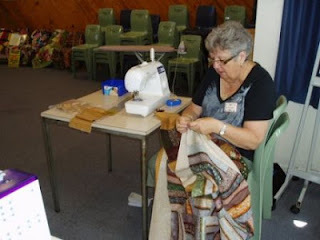 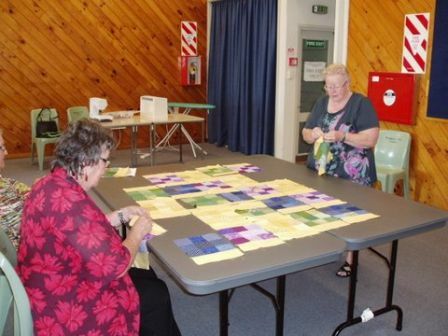 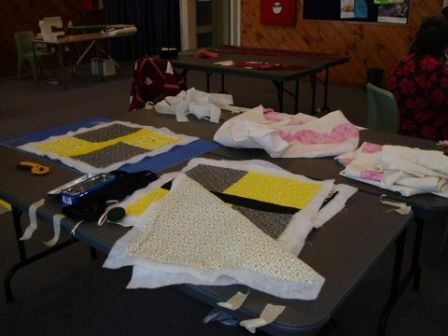 "Quilts Across the Ranges". See previous post for details. Kath happy in her work. 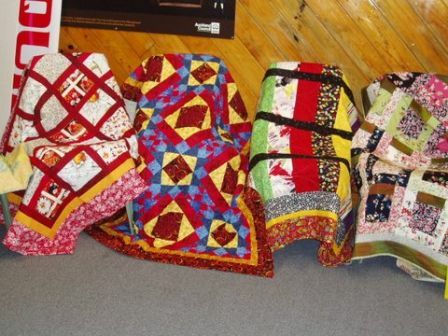 Thanks to all who put in their time to make these beautiful quilts.